They spent four years in tiny cages in Syria. It's hard to even imagine what life was like in Aleppo, Syria, over the past few years, as war ravaged the once-thriving city — but some stories have emerged that give a glimpse. 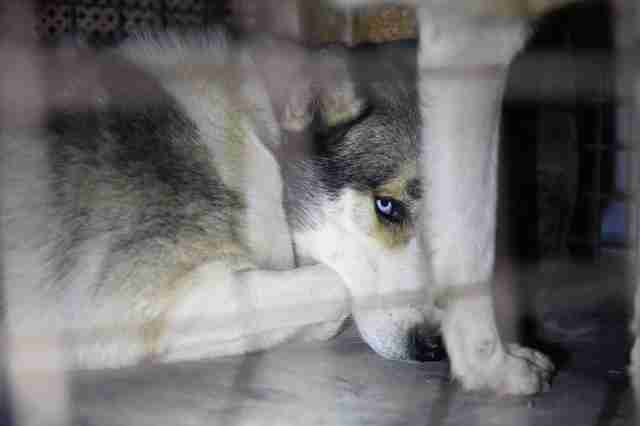 When rescuers from Four Paws International recently arrived to save captive exotic animals from Aalim al-Sahar, or The Magic World, a war-torn zoo where the last inhabitants were starving, they found two husky-mix dogs there. These dogs weren't ever intended to be part of a zoo exhibit. Loki and Lucy were found wandering the streets after their owners had to flee the shattering city to save their own lives four years ago. 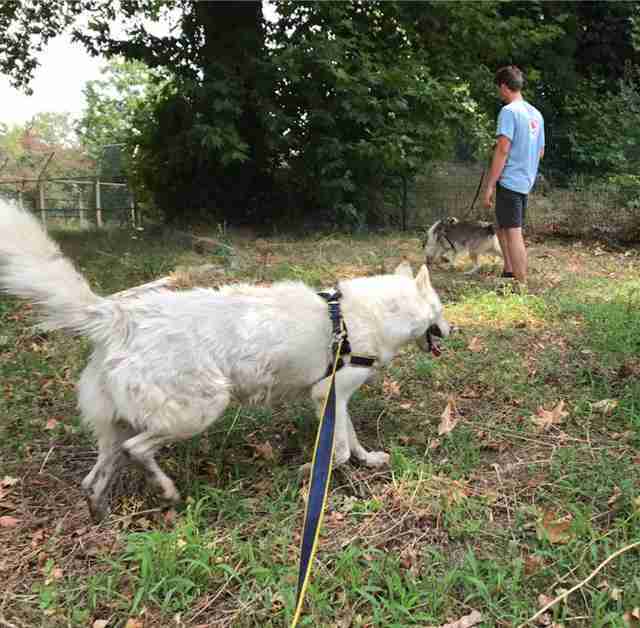 "Apparently the original owners had to flee urgently and could not take the dogs with them," Martin Bauer, a spokesperson for Four Paws, told The Dodo. They were rescued by locals and put in the zoo to keep them safe. But the zoo wasn't spared the suffering the whole city experienced during the bombings and chaos. 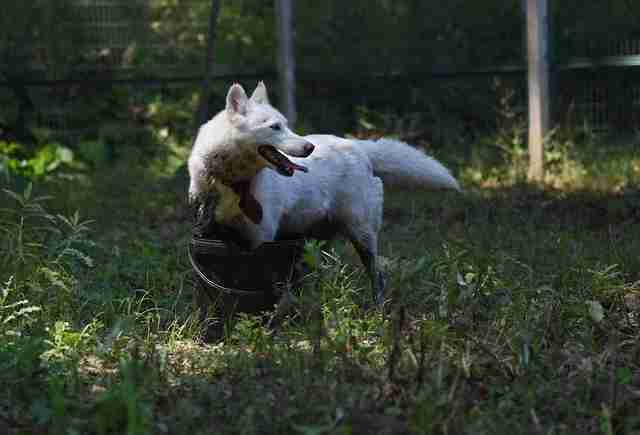 Slowly, the animals began to starve and locals did what they could to help them survive. 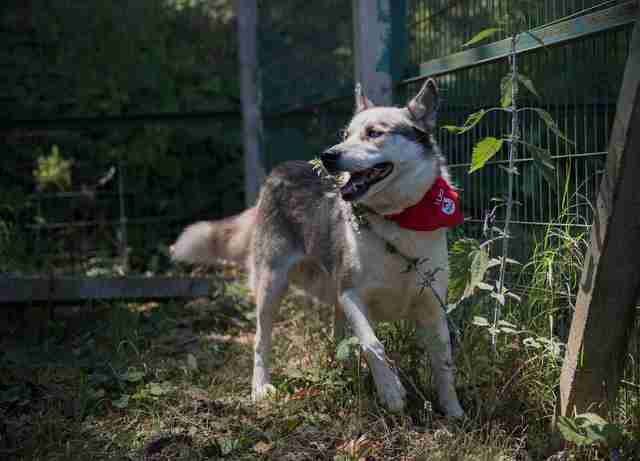 Finally, Four Paws gained permission to enter the war-torn city and rescue the remaining animals. 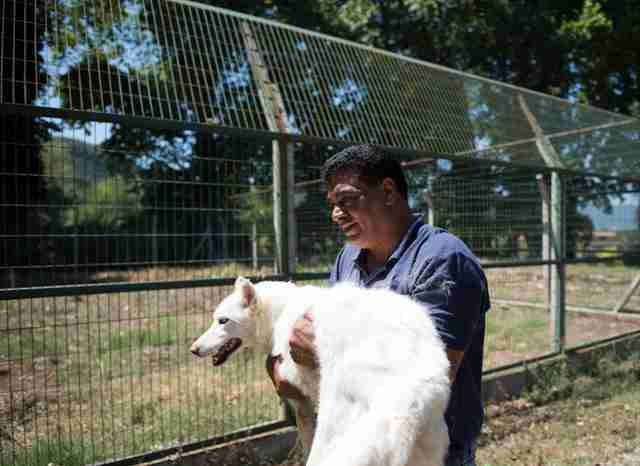 Loki and Lucy, along with bears, lions, tigers and hyenas, were taken to safety across the border. The dogs are currently recovering at a rescue center in Turkey. "Both are approximately 4 years old," Bauer said. "Lucy is very friendly and active, whereas Loki is a bit shy. We have already started the socialization program for them and they are doing quite well on a leash." It's not certain exactly when the dogs will be ready to go to new forever homes. The emphasis for now is to make sure the dogs are physically and mentally ready for a new family. One thing is for sure: Their past is finally behind them. 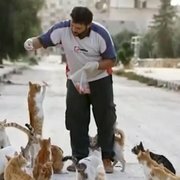 To help the animals saved from the zoo in Aleppo get the care they deserve, you can make a donation.